Bee products have been popular almost since time began, and we humans have been enjoying raw honey for more than 8000 years. In fact, raw honey is revered in many cultures as both a spiritual and magical food that boasts unique therapeutic properties. Raw honey is made from the nectar collected by honey bees, who use their long tube-like tongues to extract it from flowers and fruit tree blossom. They store the nectar in a special “honey stomach”, which holds up to 70mg of nectar and when full, can weigh almost as much as the bee itself. Once safely back in their hive, the honeybees pass this nectar, which is around 80% water at this stage, onto worker bees who begin to chew it, adding large amounts of natural enzymes and converting it into simple sugars, leaving it far more digestible and less susceptible to bacteria. Next the bees spread the nectar over their honeycomb and fan it with their wings in order to actively encourage the evaporation of water, for a thicker consistency. Finally, once gooey enough, they cover it with beeswax for storage until required as food for the colony. Collecting the honey that ends up in a jar on your table involves removing the honeycomb from the hive and carefully unsealing the wax plug to get at the honey, which is typically left to settle for a few days before bottling into jars. Unlike standard honey, raw honey is neither heated or strained, and often still contains the “cappings,” or small pieces of beeswax, in addition to small amounts of pollen. Whilst large amounts of refined sugar in your diet are not to be encouraged, raw honey is different. That’s because it contains the perfect balance of fructose and glucose, which has a much smaller effect on your blood sugar than regular sugar and gives it a low value on the Glycaemic Index. 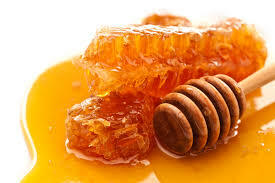 And studies on rats have shown that the consumption of raw honey leads to less oxidative stress, lower triglycerides (the main type of fat in your body) and ultimately less fat gain than either sugar or purified fructose. Unless you are specifically trying to lose weight or suffer from Candida (a yeast infection that directly feeds on sugar), consuming regular quantities of raw honey can offer a wealth of health benefits, as well as help to save our beloved honey bee. Raw honey contains flavonoids and antioxidants, such as chrysin, pinobanksin, vitamin C and pinocembrine, which can help to protect against cancer and heart disease (Gribel et al, 1999; Swellham et al, 2003). 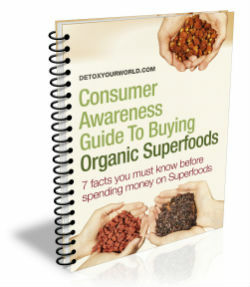 In general, antioxidants are associated with improved health and a lower risk of disease. Raw honey possesses special enzymes that have a bacterial and mould inhibiting activity, which is why raw honey is often recommended for the treatment of sore throats, stomach ulcers or bacterial intestinal infections. In a 2008 study, researchers at the University of Auckland in New Zealand concluded that raw honey is also suitable for the topical care of burns. Raw honey helps to retain stores of glycogen in your muscles for longer than usual, which means that it has a positive effect on your endurance and athletic performance. Raw honey has also been found to shorten the recovery period after exercise (Fessenden et al, 2008). Raw honey is rich in ‘friendly bacteria’ that helps to keep your intestinal flora in balance. A quality raw honey contains up to 6 different lactobacilli and 4 different bifido bacteria and can be used as a probiotic (Chow, 2003). Raw honey contains vitamins and minerals such as iron – an essential mineral that manufactures DNA and helps to make the haemoglobin in your blood, which in turn carries oxygen around your body. A lack of iron can lead to a reduction in the number of red blood cells and ultimately trigger a condition known as anaemia. Raw honey is a powerful moisturiser that can be applied directly to skin and is often found in soaps and face creams. Raw honey raises blood sugar less than dextrose and sucrose. Raw honey can help to reduce C-Reactive Protein (CRP) – a marker of inflammation. Raw honey can help to lower ‘bad’ (LDL) cholesterol, blood triglycerides and simultaneously raise ‘good’ (HDL) cholesterol levels. Raw honey can also help to reduce homocysteine, an amino acid and blood marker that is linked to cardiovascular disease. It is also thought that raw honey (which contains tiny amounts of pollen) can help to build immunity against certain seasonal allergies and many people claim that raw honey provides welcome allergy relief. It is, however, important to note that you should never give raw honey to infants aged one year or under. Honey is precious stuff – a bee colony requires around 4 kilos of nectar to produce just 1 kilo of honey. In order to meet high consumer demand, inferior honey products are often bulked up with artificial fillers, such as refined sugars, corn syrup, glucose-fructose syrup and other additives. In addition, cheaper honey is often heated at high temperatures in order to boost its shelf life, destroying many of the naturally occurring nutrients in the process. To ensure that you enjoy your honey just as ‘Mother Nature’ intended and can profit from of its myriad health benefits, it’s best to choose for an organic raw honey, as these are cold extracted, processed to an absolute minimum and are free from the type of pesticides that are damaging our honey bee populations. Raw honey is a delicious natural alternative to unhealthy refined sugars and artificial sweeteners. It can be enjoyed in exactly the same way as table sugar, to sweeten herbal teas, smoothies, shakes, protein drinks for example, or to enhance breakfast dishes and rawfood desserts. Try and avoid heating your raw honey whenever possible, as this can destroy some of its valuable nutrients. If your raw honey crystallises, it’s better to warm it gently in a bain-marie. And don’t forget that raw honey is an extremely nourishing moisturiser that can be applied directly to your skin or used as an additional ingredient in your favourite face mask or massage oils for amazing results! ← Why the buzz about barley grass? I’m no longer positive the place you’re getting your info, however great topic. I must spend some time learning more or figuring out more. Thanks for magnificent info I was in search of this information for my mission.